Understanding the user behavior is paramount for the success of any website. Existing approaches for understanding the user behavior in web applications exploit server web logs. We advocate that collecting client web logs, which contain more detailed information regarding web elements at DOM-tree level, is more effective to understand the user behavior. As the volume of client log data is significantly larger than the volume of server logs, we propose a graph-based model that aims to represent client log data in such a way that makes it processing feasible. 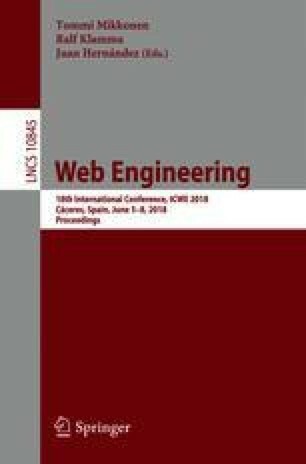 An experiment performed with a large volume of client web logs shows that our model is able to provide interesting insights regarding the user behavior in web applications.